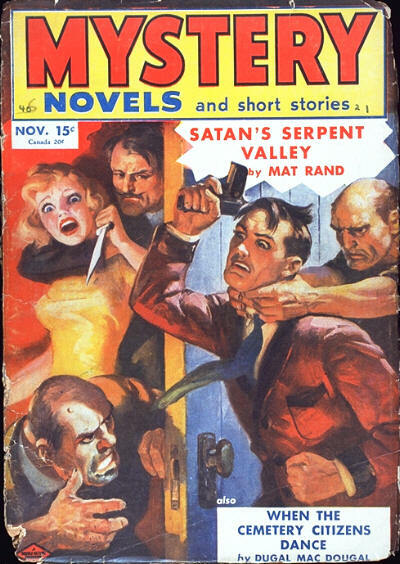 There was no issue numbered v17 #3. 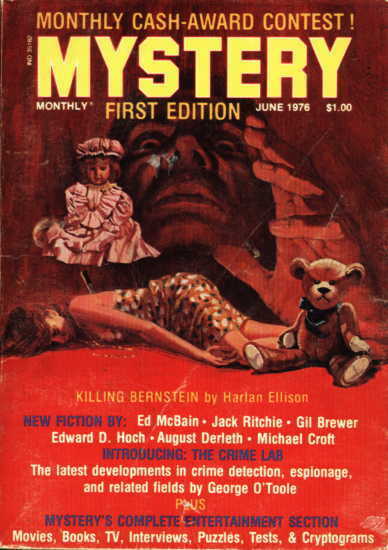 This is the second issue labelled v18 #1. 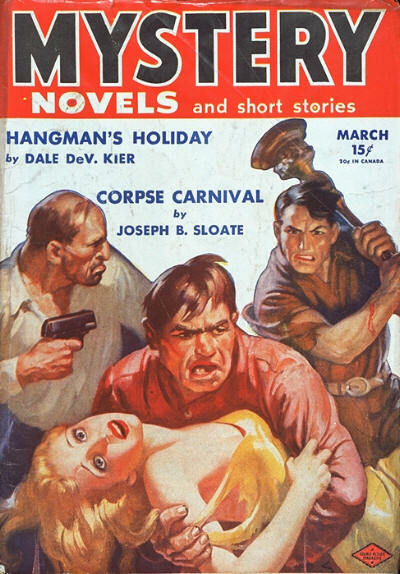 Details supplied by John Locke. 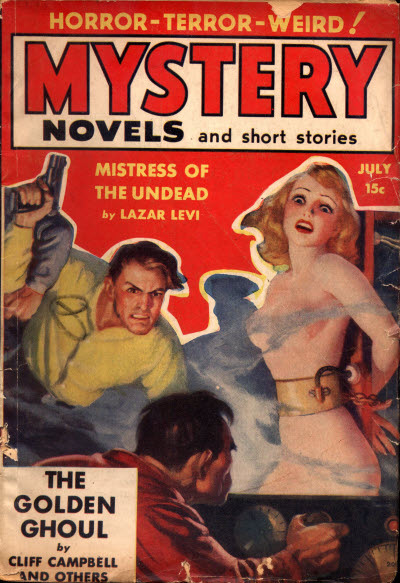 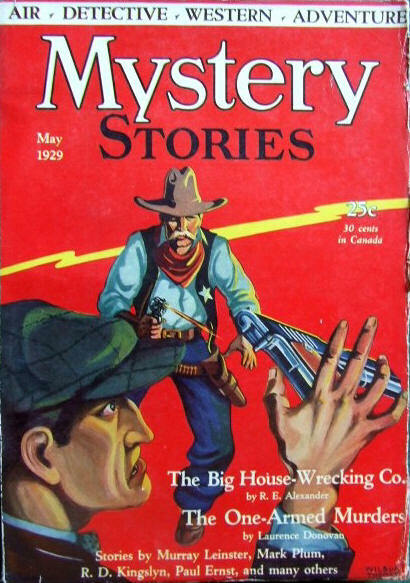 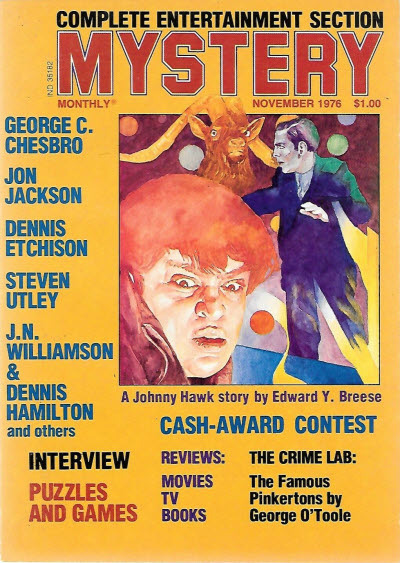 Seemingly a one-shot that reprinted a single story from Dime Mystery Magazine. 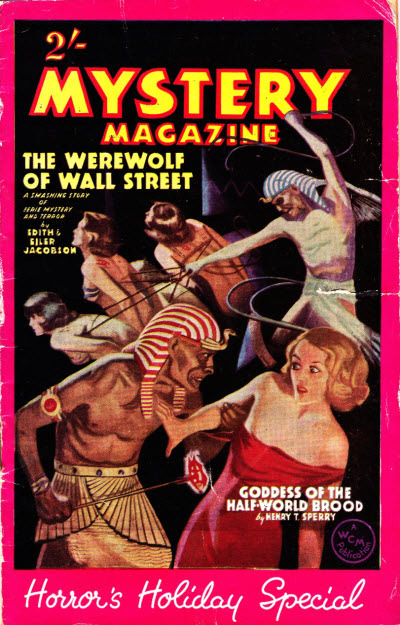 The cover states that The Werewolf of Wall Street by Edith & Ejler Jacobson is also in the issue, but it isnt. 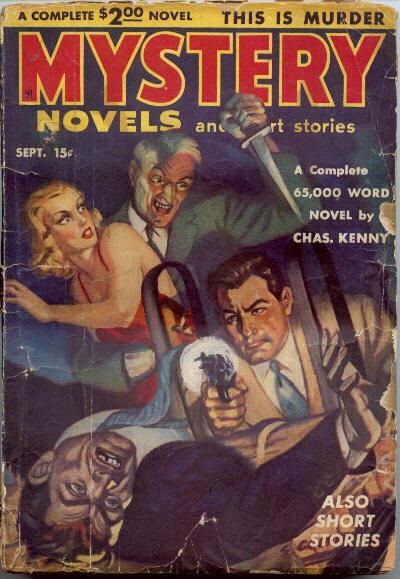 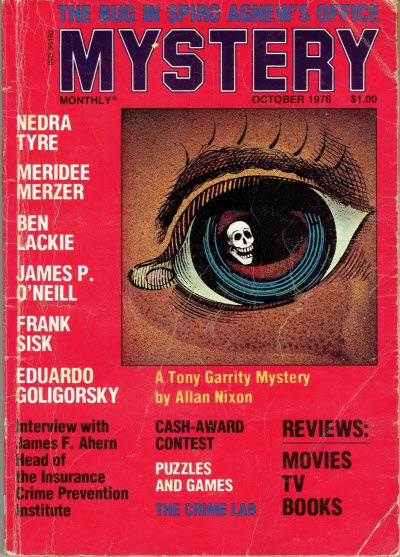 Short-lived digest which attempted to cover, in a comprehensive manner, all mystery-related entertainment fiction, book reviews, film reviews, puzzles, articles and interviews with prominent personalities in the field. 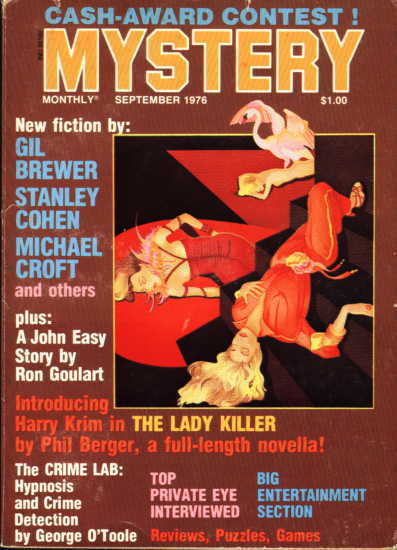 Sheila Yurman - Editor: Mystery Monthly, Jun 1976. 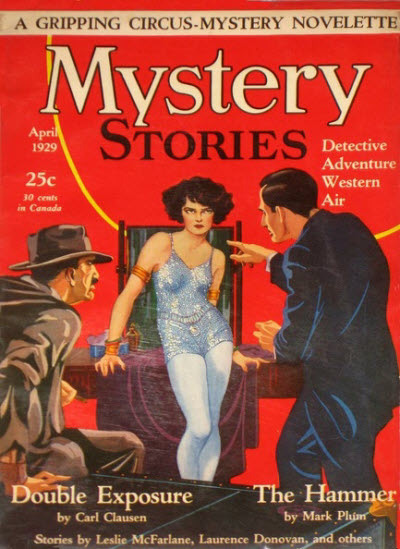 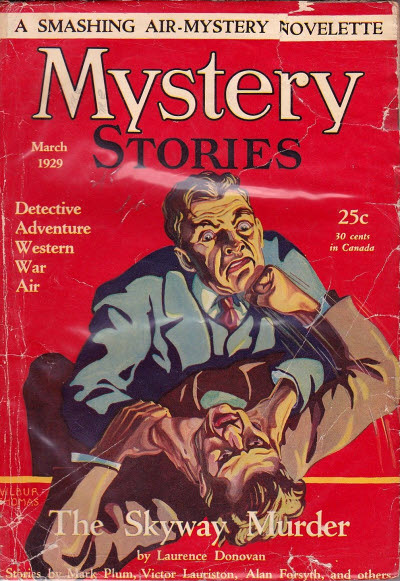 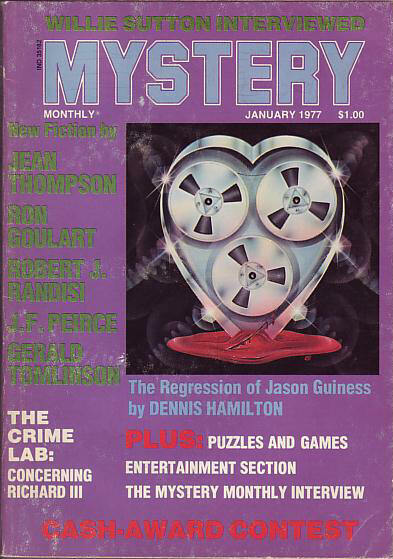 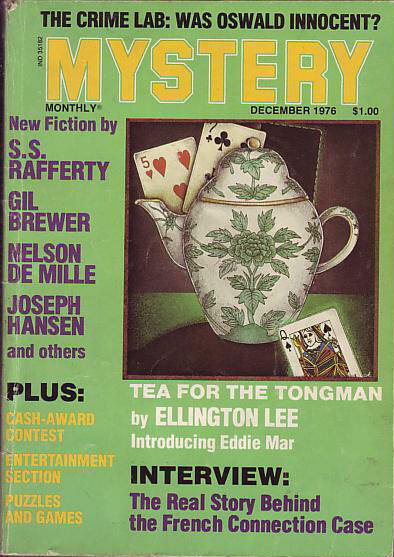 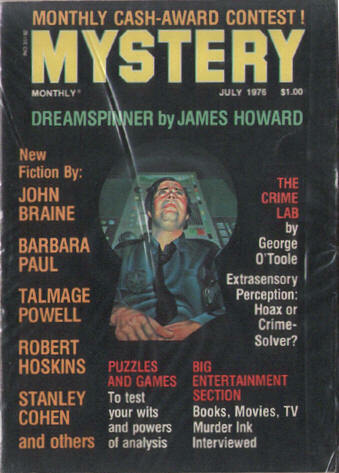 Eric Protter - Editor: Mystery Monthly, Jul 1976  Feb 1977. 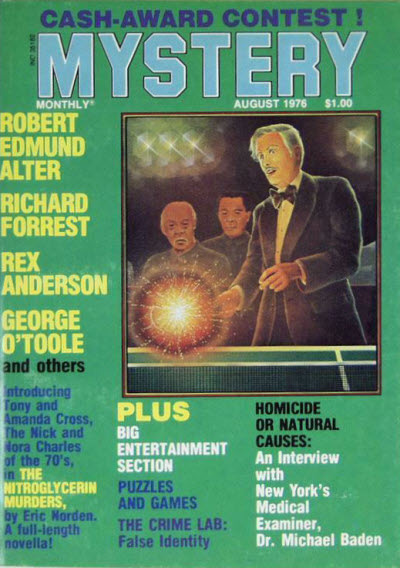 60 · Followers of the Dark Star · Robert Edmond Alter · ss; given as by Robert Edmund Alter in the Table of Contents. 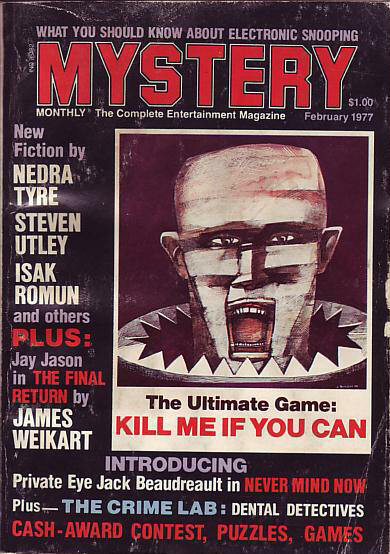 39 · Never You Mind · Steven Utley · ss; given as Never Mind Now on the cover. 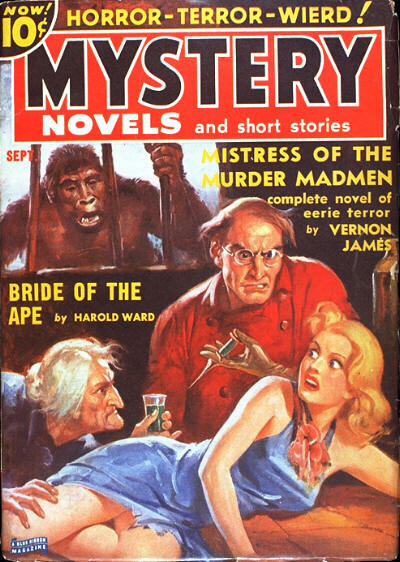 One of the better weird-menace magazines, stressing the luscious female in most distressing situations. 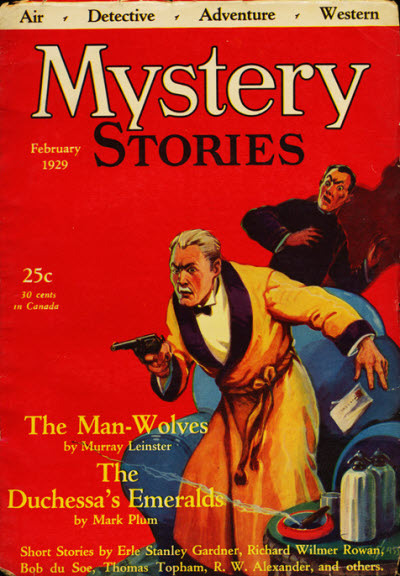 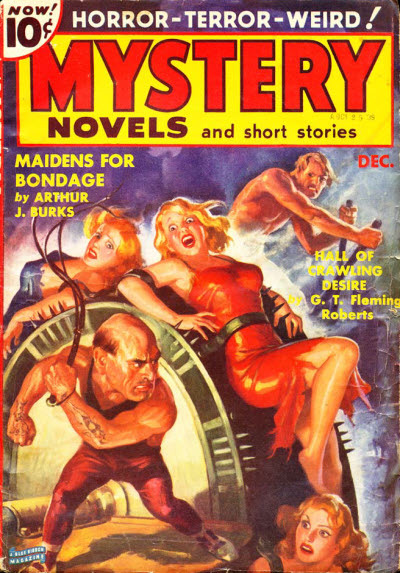 The first issue was Vol.1 No.4it is not known whether any magazine preceded this for the first three issues.